Kickstarter, the popular crowdfunding site for creative projects, is taking steps to make budding entrepreneurs more accountable. They've put into place several new rules designed to prevent creators from promising a product they can't deliver. The goal, Kickstarter says, is to help prevent entrepreneurs from over-promising and disappointing backers by not delivering, like some popular projects have been accused of. By forcing submitters to think through the challenges and be transparent about current progress, they're discouraging unrealistic projects and elevating the creatives who have the skills to ship product as promised and turn their dreams into reality. 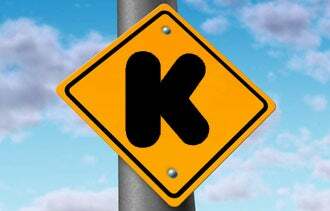 To date, Kickstarter says it has raised more than $311 million to fund more than 30,000 projects. 1. Identify risks and challenges. Kickstarter has added a new section to the project page called "Risks and Challenges." Here, you'll list the potential problems involved in seeing your piece through to completion. Are raw materials hard to find? Is there a lot of handwork involved? Do you need permissions you don't already have? Once you identify the problems, you need to counter with your ability to solve them. Have you successfully completed a similar project? Do you have alternative material options? What's the back-up plan? This section is about selling yourself -- not the product. Prove to people that you're up to the challenge and your backers will have more confidence you'll be able to weather the challenges ahead. 2. Submit the proper supporting materials. If you're submitting a hardware or product design project, read Kickstarter's new graphics rules carefully. Going forward, they will not allow product simulations or realistic renderings showing what the product might do in the future, or what it could look like once it's in production. They will allow sketches, technical drawings and actual photos of a current prototype and the product in action. Some people are unhappy about this rule, so don't be surprised to see further refinements in the near future. In the meantime, the key is stick with what you've actually got to show here and now. 3. Create a reasonable reward system. When a person kicks money into a project, they receive a reward based on their level of participation. In most cases, the reward includes a working version of the project in question. Because of the inherent problems involved in manufacturing a new item, Kickstarter is now prohibiting the use of multiple quantities at any reward level. They want to emphasize the point that Kickstarter is not a store, but an opportunity to invest in a good idea. You receive an item as a "thank you" for your early support -- not because you directly paid for it.